Home Enlivening Who Are The Lightworkers? 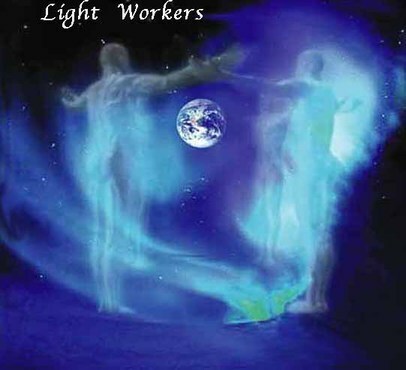 Lightworkers are people driven and motivated to work in assisting in making the world a better place. They are here to help improve peoples lives, so they may elevate to a higher level of consciousness. Lightworkers often feel they don’t ‘fit in’ with the majority of the people in the world. They feel like they are different and very often misunderstood by most other humans, even their own family often have a hard time relating. Lightworkers believe they are here for a divine purpose, there is a constant feeling of inner urgency and restlessness within them until they find their way to their purpose. A Lightworkers childhood was often difficult, painful and lonely. Lightworker people are very compassionate, they always go out of their way to help others. These people are helpers, healers, and people pleasers, even to their own detriment, it isn’t easy for a Lightworker to say ‘no’. They are incredibly empathic, meaning they can literally feel other peoples emotional states. Lightworkers tend to attract relationships that are unbalanced, they attract wounded people who need healing. It is important for Lightworkers to establish boundaries, this usually happens as they get older and a little wiser about taking better care of themselves. Lightworkers crave love and acceptance, yet they have such a difficult time finding it. Although Lightworkers often feel lonely, they would rather spend time alone than hang out with people who don’t understand them. Lightworkers have little interest in many of the things that the masses are obsessed with, like sports, celebrity gossip, fashion trends etc. Lightworkers value peace and harmony, they dislike arguing and fighting to the point it may even make them feel ill.
Lightworkers are not as materialistic as the general population, they don’t care much about status symbols and fancy expensive items such as cars, homes, furniture or clothing. They tend to have dreams that are very vivid and interesting, and as young children, they may have seen angels, fairies, and spirits some may still see them as adults. Lightworkers tend to suffer from ‘feeling down’, it isn’t easy for them to live in this world because there is so much mindlessness, destruction, disregard, and violence. Lightworkers are here to help humans in many different ways. People are drawn to their energies like a magnet for a reason they want the Lightworker to assist their Soul. When the help is given and the work is done the Lightworker knows it is time to move on for the higher good of both parties. Lightworkers seldom have many friends, the people that stay in the Lightworkers life till the end are very special indeed. Perhaps the first step is to work on your courage so you may come to accept who you are. You are a divine spiritual being sent here to help in a very magical way, you must be spiritually ready to step into your new shoes.